Dropbox today added a nifty feature for all its desktop users: support for automatic uploading of screenshots. At the same time, the company has added an iPhoto import tool for its Mac users. 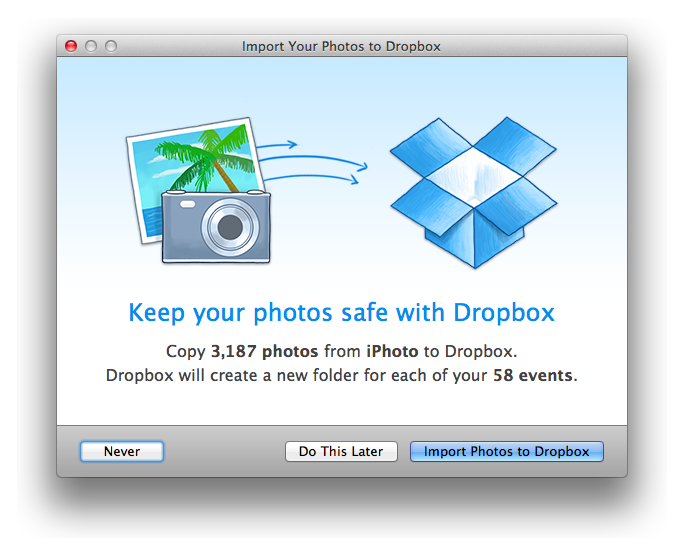 The first addition means all the screenshots you take can be automatically saved to your Dropbox account. 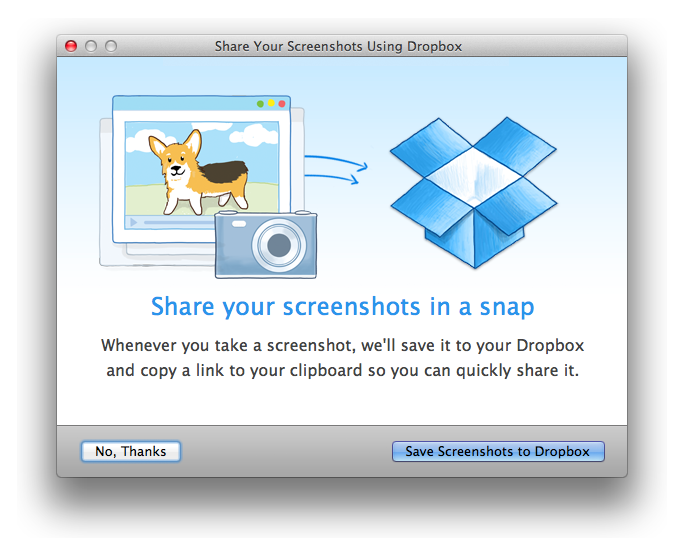 Furthermore, Dropbox will also create a link to your screenshot and copy it to your clipboard. This means that your picture is instantly available for sharing online. This should be useful for anyone who takes screenshots on a regular basis and wants to avoid the hassle of pasting, saving, and then uploading them. The downside to all this is if you want to crop the screenshot or edit it in some way before you upload it. For those cases, you’ll want to disable this feature as Dropbox will just get in the way of your “screenshotting” process. This is a good way to back up all your snaps, as well as have them handy for sharing. It’s of course entirely optional, so if you already have them backed up elsewhere and want to use your Dropbox storage for just files, you can. Both these new features, which shouldn’t surprised you if you read TNW, are minor ones with a potentially big impact. 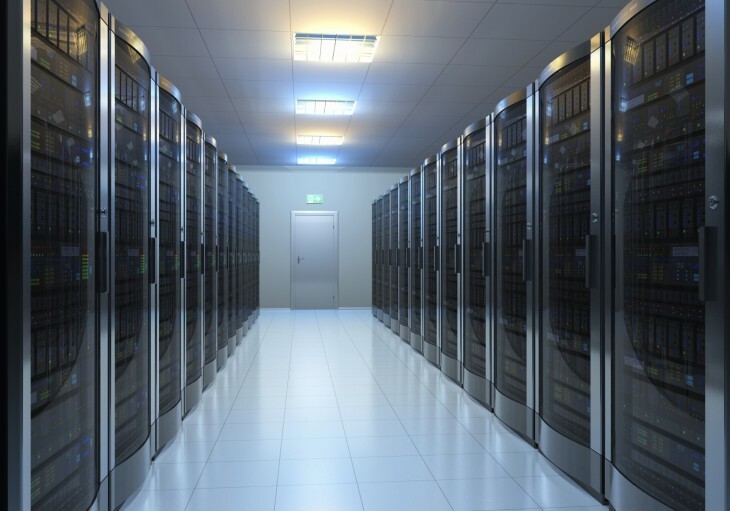 If you take advantage of either of them, chances are you’ll end up using Dropbox a lot more, which is of course exactly what the company hopes you’ll do.